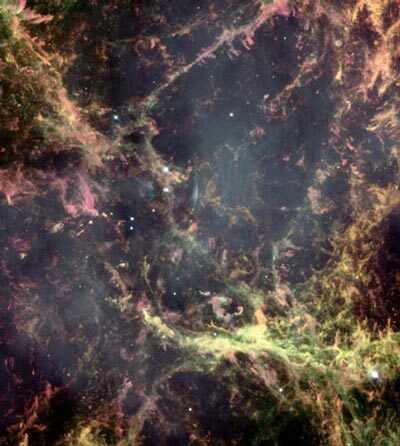 Explanation: The supernova explosion that formed the Crab Nebula was first seen on the year 1054. Last week, astronomers released a new image of the still-evolving center of the explosion. The above representative-color photograph was taken in colors emitted by specific elements including hydrogen (orange), nitrogen (red), sulfur (pink), and oxygen (green), with the result appearing oddly similar to a Jackson Pollock painting. Visible is a complex array of gas filaments rushing out at over 5 million kilometers per hour. Even at these tremendous speeds, though, it takes a filament over 600 years to cross the 3 light year wide frame. The rapidly spinning neutron star remnant of this ancient cataclysm is visible as the lower of the two bright stars just above the photograph center. 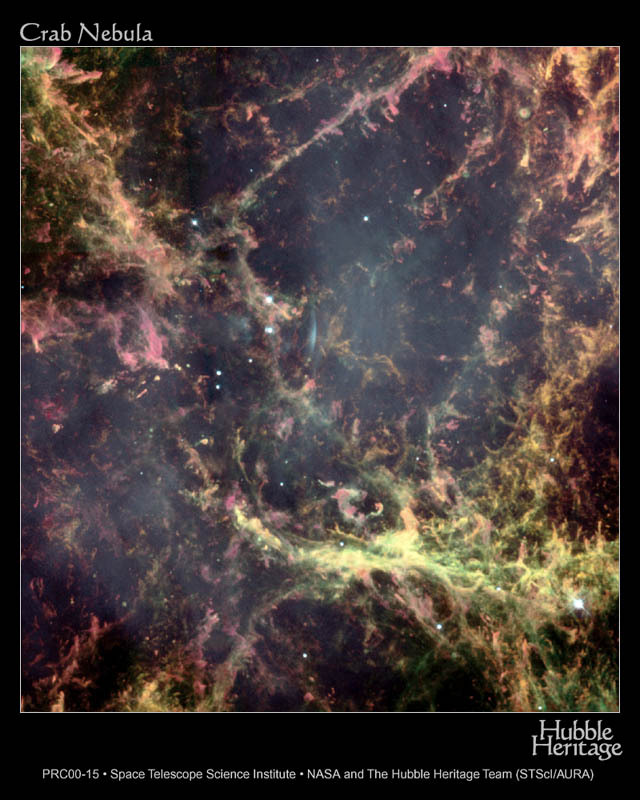 The Crab Nebula (M1) is located 6,500 light-years away towards the constellation of Taurus.